With Google’s (s GOOG) annual I/O developer conference being just a week away, lots of people are busy trying to figure out what the company is going to announce this year. I’m gonna throw my hat in the ring with a bold guess: a second take on Android @Home, Google’s internet of things meets home entertainment initiative that never materialized despite being announced not once, but twice. I have no inside knowledge on this, I have heard no juicy rumors — so I could be completely wrong. But I do think the timing is right for Android @Home. First, a bit of history. Google initially introduced Android @Home at its Google I/O conference in 2011. Back then, the company painted the picture of all kinds of household appliances being connected to a home gateway, controlled by Android devices. One of the first devices coming to market was supposed to be an Android-connected LED light bulb. The bulb was supposed to be manufactured by Lighting Science and come to market by the end of 2011. That never happened, and there hasn’t been any official word about the status of the project since. 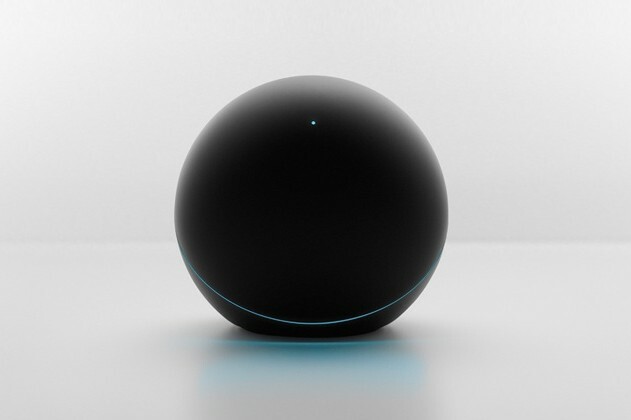 Instead, Google introduced the ill-fated Nexus Q at its 2012 Google I/O conference. The music streamer was meant to compete with Sonos and deliver cloud-hosted whole-home audio – but overwhelmingly negative reception led Google to scrap the project, and give away thousands of units for free. However, Android @Home is far from dead. Android enthusiasts recently found traces of Android @Home in the Android 4.2.2 update. And some casual searches on LinkedIn reveal that the company isn’t just maintaining the team, but actively hiring and adding people to the fold. There are industrial designers and software engineers “working on Android@Home cloud services,” managers who’ve been working on “Nexus Q and other fun things to come” and numerous other people listing Android@ Home as their current area of work. A bunch of them have actually been hired in 2013. However, it’s worth pointing out that quite a few people list Jawbone as a previous employer, hinting at the possibility of additional audio devices. I’ve also heard that Lighting Science is still working on the LED project, so we might actually see Android-connected lightbulbs make a comeback. Google’s voice recognition already controls Google TV devices. Will it come to your lightbulbs next? One of the key pieces to tie all of those things together could be Google’s voice recognition. 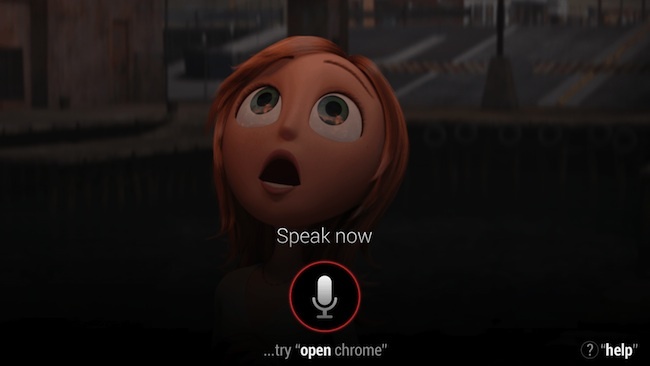 The company’s cloud-based voice recognition features have advanced a lot in the last few years, to the point where voice has become one of the main input methods for Google TV. Here’s another feature that could set the 2013 version of Android @Home apart from its 2011 roots: Google’s new focus on the knowledge graph, and its pretty face that is Google Now. The Google Now app already pushes all kinds of relevant information to your mobile, including the time it will take you to get home and the weather in the city you’re going to visit tomorrow. 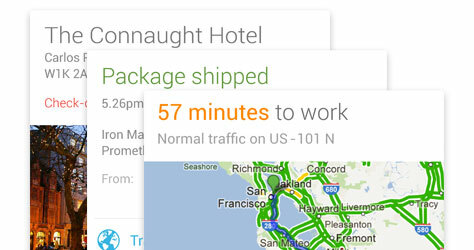 Google Now already keeps track of your packages and your commute – so why not your home appliances? Now imagine Google would add data it gets from your Android @Home devices to the mix. Swipe up on your Android phone, and you’ll be able to check the settings of your thermostat, get more information about the band that’s been playing on your home stereo system (including tour dates) or check how much money you’re gonna spend on electricity this month. It’s a pretty compelling vision, and one that gets even more interesting once you feed data from your Android @Home devices back to the knowledge graph. Granted, a pretty UI powered by Google Now cards and voice recognition isn’t all Android @Home needs to succeed – but both would definitely be big steps to make consumers feel more at home in their connected house. Google doesn’t seem able to execute lately ,Google Q ,Chromebook Pixel ,Youtube payed content, Glass huge delays and botched marketing, Nexus devices with no miicroSD and more. It seems unlikely at this point that they can do anything new well. Speech recognition is not the killer feature many think it is .Also if you have to speak to the phone it’s not all that convenient ,if they add the capability to each device,the BOM goes too high for most devices and power would be wasted. A watch (done right) would be a better remote for home automation devices. A lot of things can be done , The Nest thermostat ,for example, is pretty dumb ,way too expensive for the hardware and it’s not connected to other devices. The hardest part is marketing it ,Google doesn’t get the Apple press or the customers ready to pay way too much for any toy they make and they are not very good at defining a product and keeping that definition simple enough. As for lightbulbs,that’s so last year, we have glowing plants now! j/k aside i would like to see multifunctional bulbs that deliver light and something else (you have power in that spot,seems like a waste to use it only for lighting). It’s been said elsewhere that the market for expensive controllable light bulbs is saturated. I bought Philips Hue and have not splashed out on any more bulbs.